Jason is well known in the industry amongst top clients and travel partners globally and in Dubai. Previously, Jason was the General Manager at the world famous Armani Dubai (hotel) and also spent several years with Rocco Forte hotels in UK. 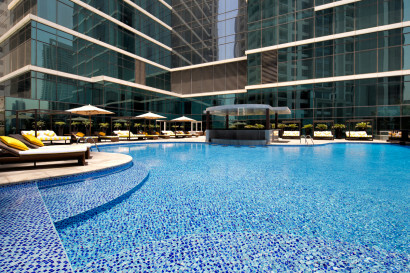 Taj Dubaithe is a luxury five-star hotel, and is in Taj group’s Luxury segment of hotels. Taj Dubai is opened in April 2015 and Europe is one of it’s key markets. Taj Dubai occupies prime position in Dubai with stunning views of the world famous Burj Khalifa, the world’s tallest tower, Dubai fountains and Dubai mall, home to over 1200 shops. 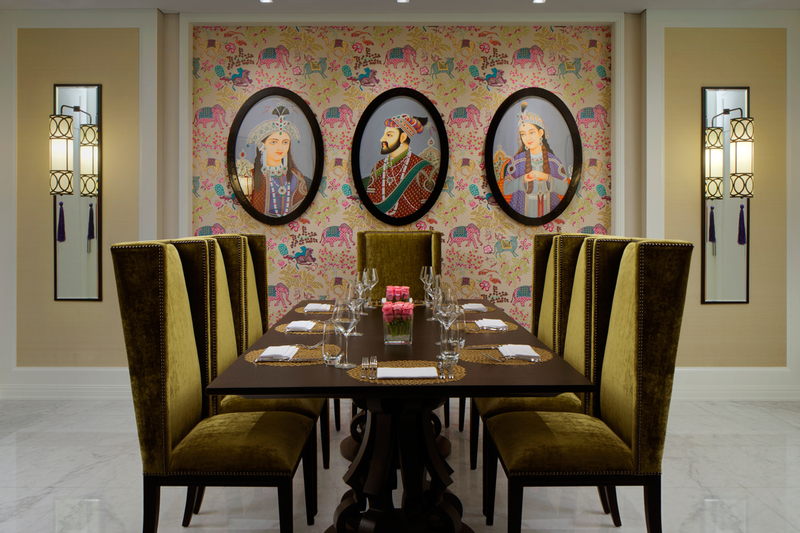 Opened in April 2015, Taj Dubai offers a modern, contemporary setting with touches of beautiful Indian artistry and legendary Taj service. 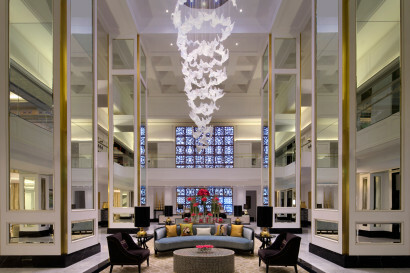 With spacious rooms, plenty of day light, ecclectic dining choices, it is poised to be home to leisure and business guests. Spacious rooms starting at 45 sq. 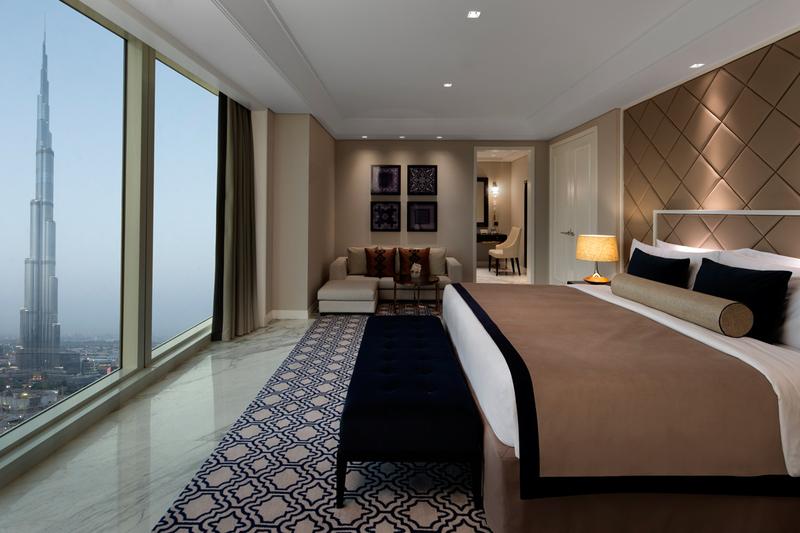 mts, Burj Khalifa views from many elegantly appointed room & suites categories, a few minutes to Dubai Mall, Dubai fountains and also in close proximity to Commercial heart of the city and Dubai stock exchange. Located in the Burj Khalifa precinct, the area is home to over 300 restaurants and bars, ranging from casual cafe’s to celebrity chefs’ restaurants. 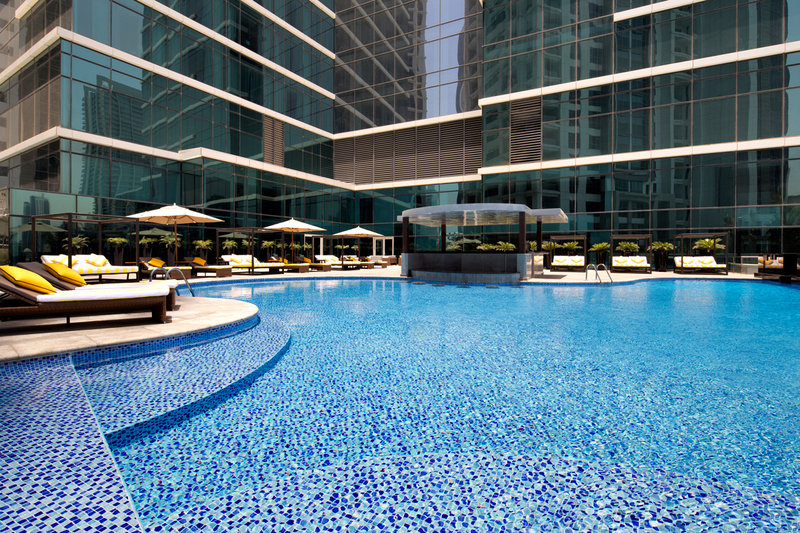 With plenty of pedestrian access, children’s play areas, jogging tracks and free parking, Taj Dubai has the benefits of access to the social and commercial heart of Dubai and yet have a perfectly peaceful setting. The hotel operates the « Kids@Taj » branded programme that offers services, benefits and fun activities for children aged 4-10 years of age. The programme also includes special amenities and menu’s. At 45 sqm. the Luxury Rooms are warm, and well-appointed with floor to ceiling views.Room feature a king or twin beds, a 42″ LED TV, in room safe, tea coffee facilities. 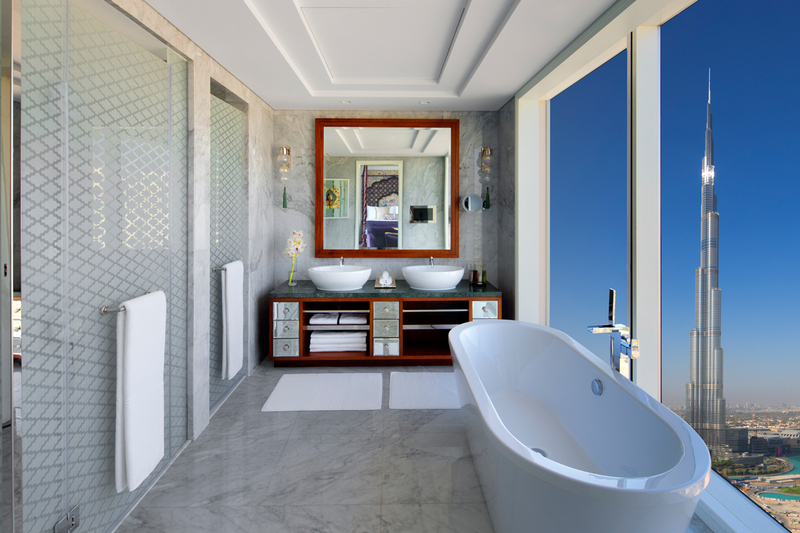 The en-suite bathroom features double sinks and bathtub, hairdryer and luxurious Molton Brown toiletries. Guests benefit from complimentary basic Wi-Fi, in-room bottled water. 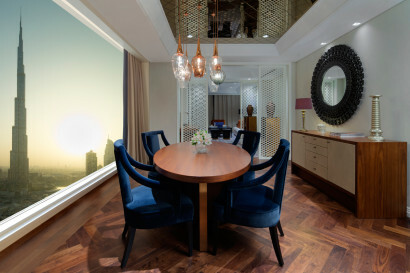 Similar to a Luxury room,however with stunning floor to ceiling views of the Burj Khalifa. Same as Luxury Burj View rooms with stunning vistas of the world famous Burj Khalifa. The rooms offer exclusive Taj Club lounge access, cocktail hours, butler service,light breakfast, all day light snacks,evening cocktail. 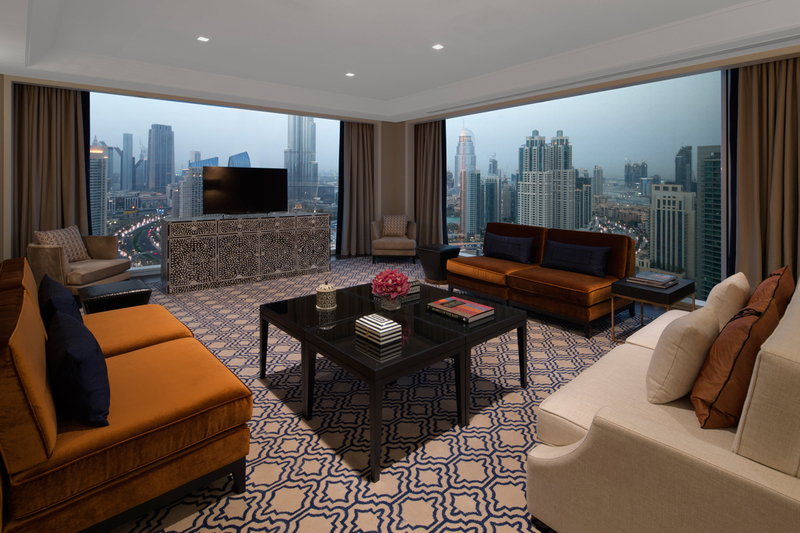 Burj View Junior Suite with uninterrupted views of the magnificent Burj Khalifa offer exclusive lounge access, cocktail hours, butler service. 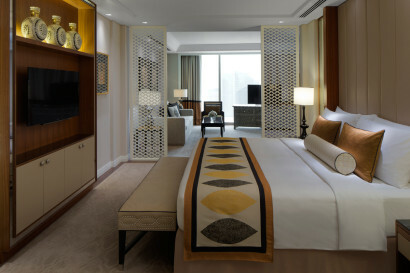 This spacious 65 sqm suite has a king bed with an extended sitting area including a sofa bed. The room features a 42″ LED TV, in room safe, tea coffee facilities, en-suite bathroom with double sinks and bathtub, hairdryer and luxurious Molton brown toiletries. Guests benefit from complimentary basic Wi-Fi, in-room bottled water, complimentary newspaper and turn down service. 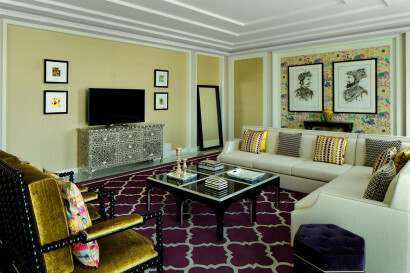 • Maharaja and Presidential Suites on request only basis. Gaze down across the lobby from the Byzantium Lounge, a vibrant space that boasts rich visual touches that include a bar featuring art deco-style gold and black peacock lacquer panels. Or you could treat yourself to a refined high tea, sip an exciting range of drinks and sample a range of international light bites. Soak up the relaxed atmosphere of this casual neighbourhood gastro pub. Take in the striking visual features, such as the unique light fittings, chic black and brass accents and vintage style decorations.Sample drinks from the traditional bar counter and taste fusion cuisine at its best. Dine in style in this striking global eatery housed within an eye-catching glass and metal conservatory. Relax in the dappled shade of large olive trees and enjoy a buffet style breakfast and lunch, followed by à la carte globally inspired dishes for dinner. Enjoy views of Burj Khalifa while dining on. 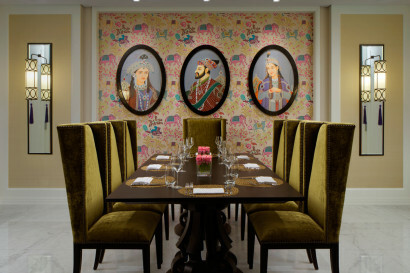 Enjoy the sizzling sights and sounds of an open kitchen serving fine Indian cuisine, where guests can watch their food prepared in the tandoor oven or ‘sigri’ grill. 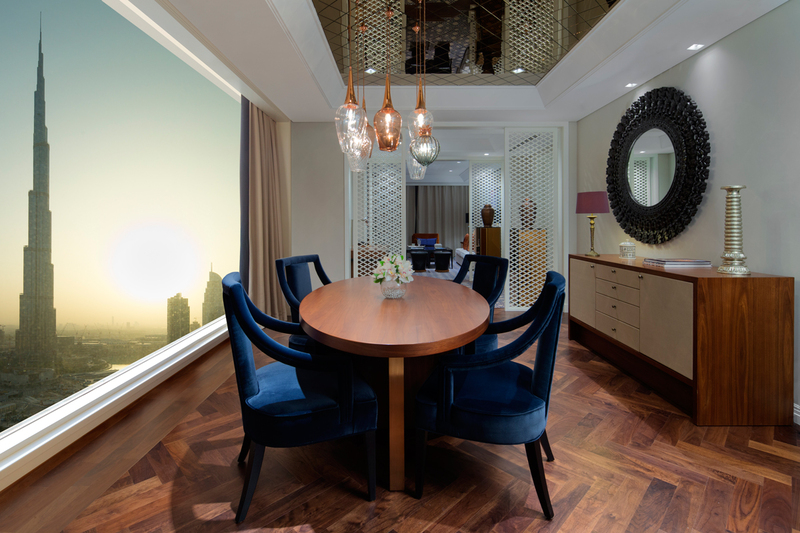 A feature timber screen creates more secluded dining areas, and the restaurant has views toward Burj Khalifa. 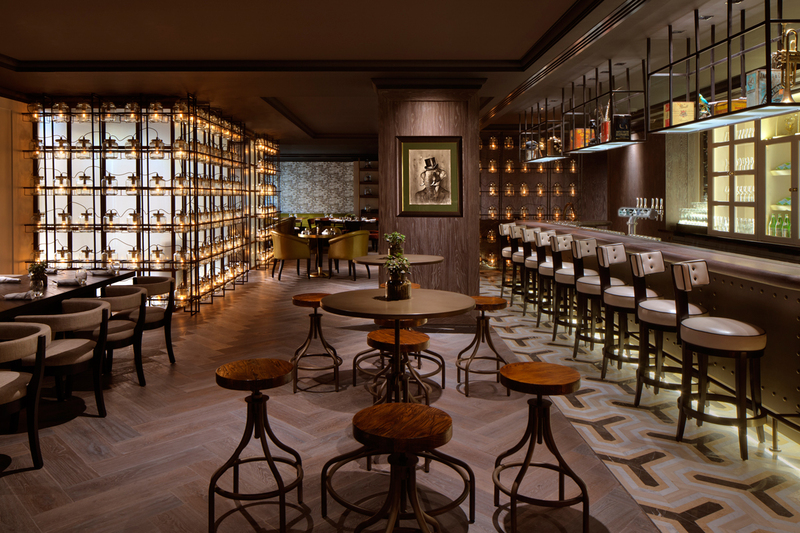 An urban hideaway for effortlessly chic people of taste. Listen to the soulful house tunes of DJ Taylor whilst indulging in an artful menu of Mediterranean bites as creative mixologists fashion potions with a penchant for alchemy. Open from 6pm until late, this is an ideal venue to water the sunset create stunning views of Burj Khalifa & the downtown area. 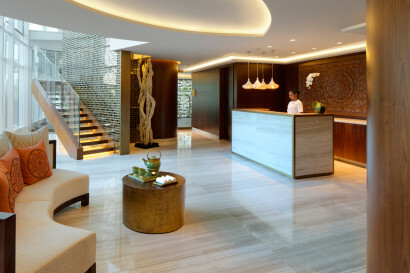 The day spa includes a relaxation room, consultation room, and four treatment rooms that each have individual dressing and shower facilities. The couples’ treatment room features a double deep soaking bath and double shower. • Concierge team can organize excursions such as Desert Safari,Dhow Cruises and Dubai City Tours. • Assist in booking tickets for worlds tallest building Burj Khalifa, with an observatory deck on the 126th floor. • Arranging tours to Abu Dhabi for cultural immersion and viewing the stunning Abu Dhabi mosque.